TALEN Vision have hired Slovak coach Miroslav Nemec to prepare the Southern Region Division One League side for next season’s campaign. Nemec joins the ambitious First Division side from a coaching stint with Czech Republic second tier league side Frydek-Mistek. 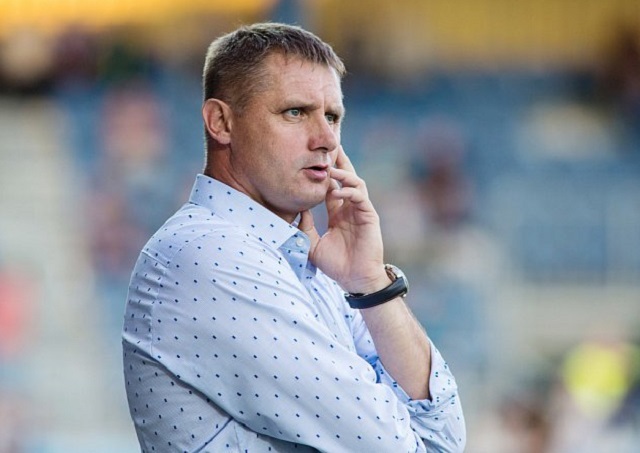 According to an overview of his management career, Nemec was in charge of Frydek-Mistek’s 18 matches in the 2016/17 season as the head coach from August 10, 2016, to May 5, 2017. The 45-year-old has also had coaching stints with OFK Teplicka nad Vaham, Podbeskidzie Bielsko-Biala and MSK Zilina who are in the Czech Republic’s second tier league. Juma Phiri, Talen Vision’s manager, confirmed Nemec’s appointment. “We have a new coach who will work with the technical team made up of Xolani Nkundlande, Owen Butete and Johannes Tshuma. He is expected to start building a squad that will effectively compete next season because right now we can’t catch leaders Bulawayo Chiefs,” said Phiri. Nemec’s appointment comes months after the club parted ways with Julius Simon (55) from Slovakia. Nemec will be on the bench this afternoon when Talen Vision play host to Casmyn at Fairbridge. The encounter is one of the two Southern Region Division One League matches slated for the weekend. Chiefs and Zim Leopards complete the weekend’s programme. Talen Vision are in eighth position, with 18 points from 14 games and trail leaders Chiefs by 22 points. There are 12 games left before the season ends. Talen Vision are a point behind Casmyn and a win this weekend could see them leaping into fifth place in the event that Zim Leopards lose to Chiefs. Chiefs thrashed Zim Leopards 5-0 in the reverse fixture, but they expect a tough encounter at the Raylton grounds. “Zim Leopards are coming from back-to-back 2-1 wins over ZRP Bulawayo Province and obviously morale in their camp is high. The fact that we beat them 5-0 in the first leg doesn’t count at all because this is a new game and they will be out for revenge,” said Chiefs coach, Thulani Sibanda. Zim Leopards are enjoying a good run under the guidance of Tobias Mudyambanje and Chipo Tsodzo.